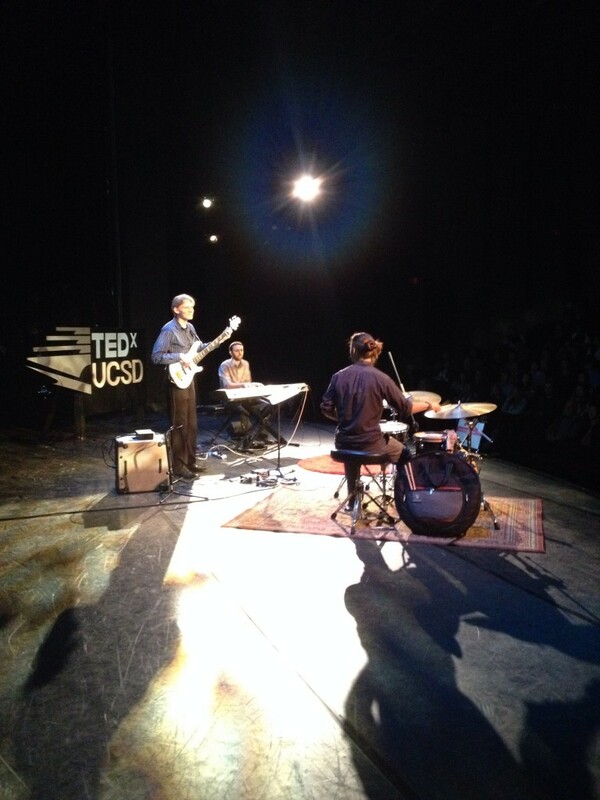 Last week, my trio had the honor of performing at TEDxUCSD 2014. I’ve been a huge fan of TED Talks for quite a while now, so it was so fun to get to be a part of them. Each speaker and performer was given 18 minutes to present, so we played three selections off of my upcoming release – End of the Block, Choro Pra Corrente, and After the Calm. We played for an audience of about 500, most of whom were UCSD students. One of the highlights was speaking with some of the students during the lunch break. Hopefully we’ll have a video of the performance to share soon. In the meantime, here’s a picture of us from back stage. We’ll look forward to doing this again hopefully soon! 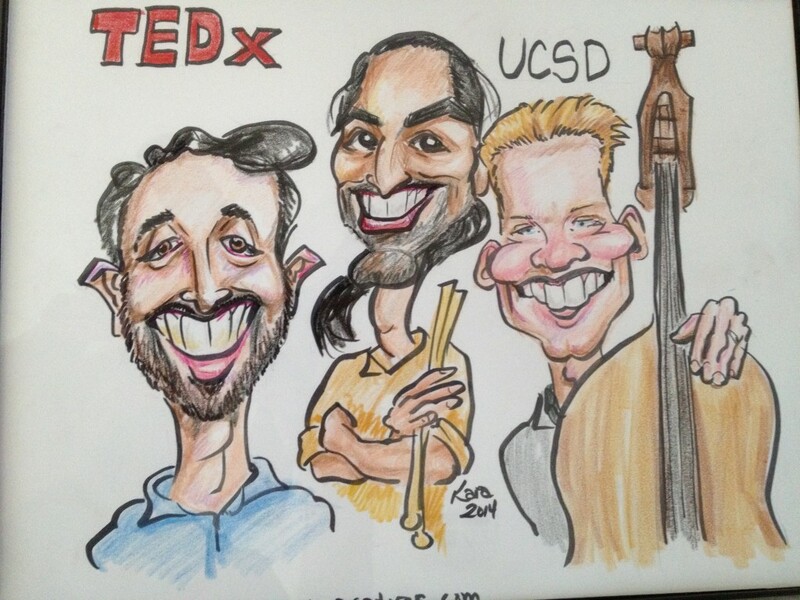 Many thanks to TEDxUCSD for having us!